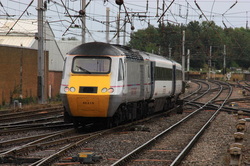 The other end of the train with East Coast 43315. 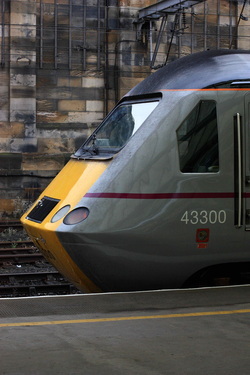 43300 stands in the rain awaiting departure north. 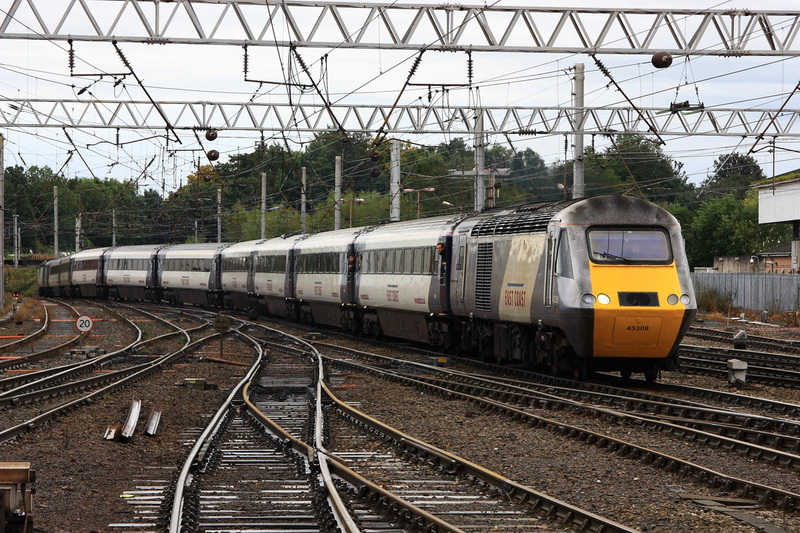 A day which produced endless rain in the morning, but transformed into a warm Autumnal afternoon for the 2 charter trains. 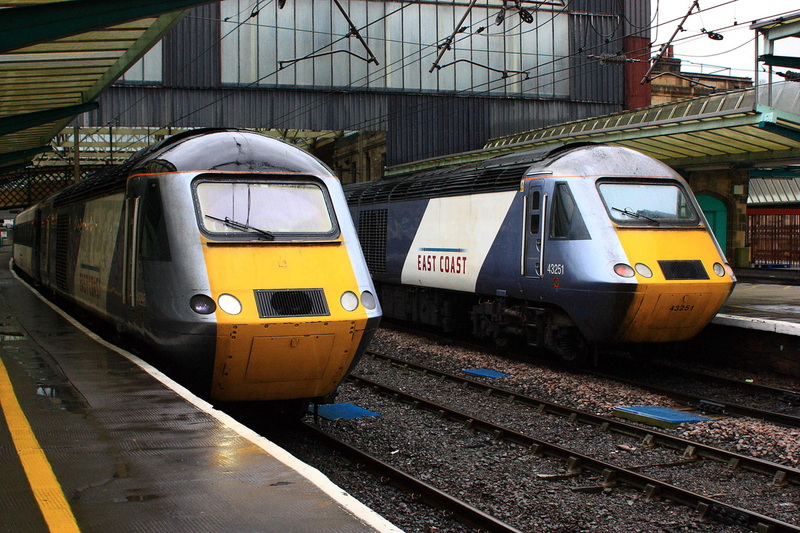 East Coast liveried 43300 tails 1S03 Leeds to Edinburgh awaiting departure in the pouring rain. 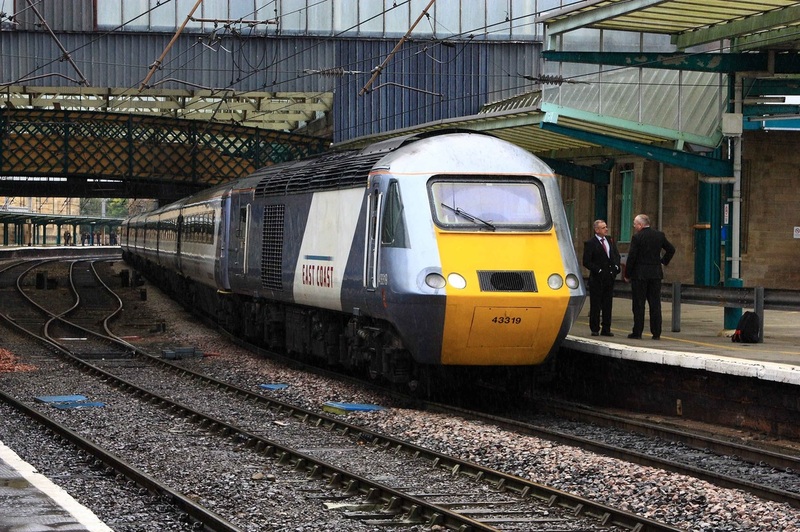 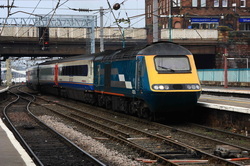 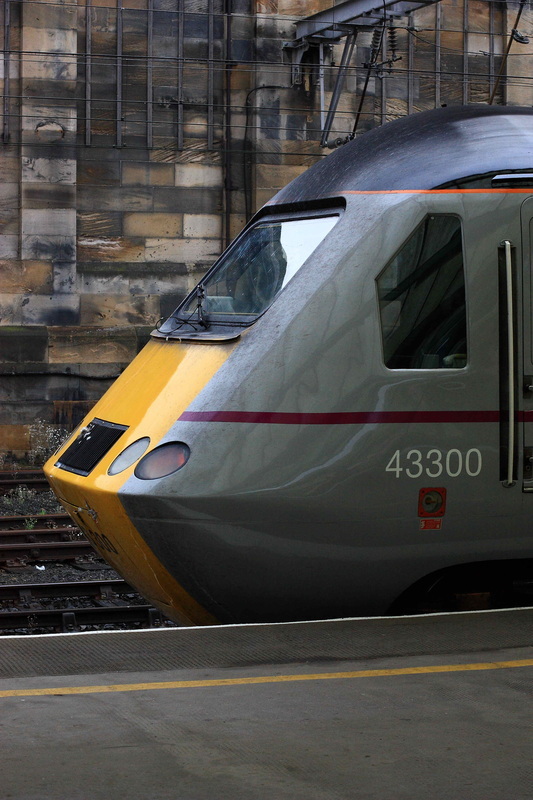 On the other end was 43295 (In National Express with East Coast branding), and having arrived at Platform 3 was 43251 on 1F62 Edinburgh to Newcastle. 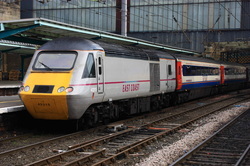 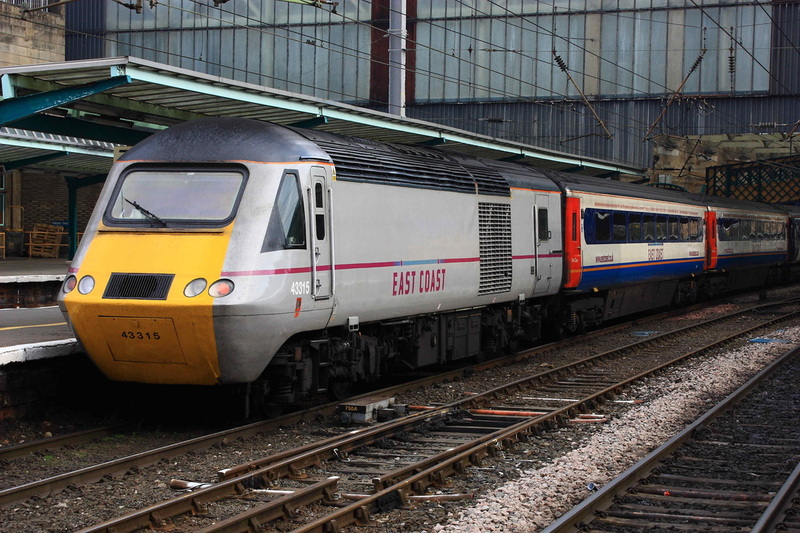 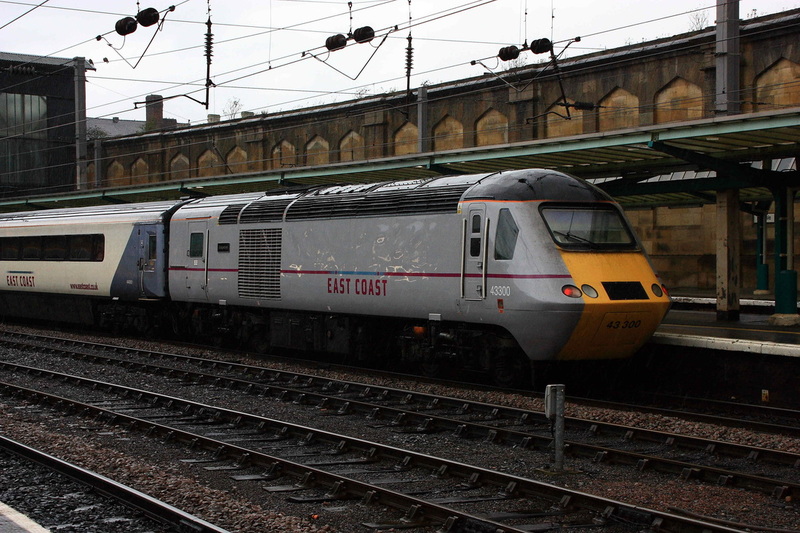 East Coast liveried 43315 brings up the rear of 1E17 Inverness to Kings Cross. 43251 appears back at Carlisle with 1F21 to Edinburgh. 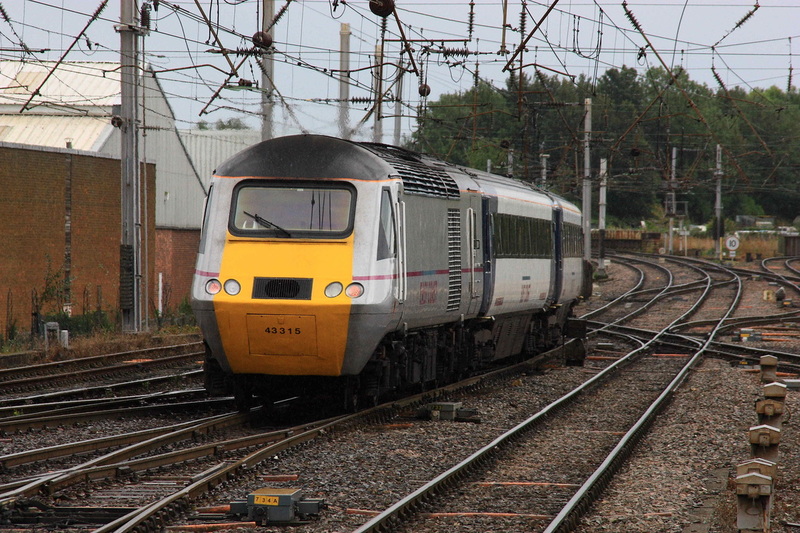 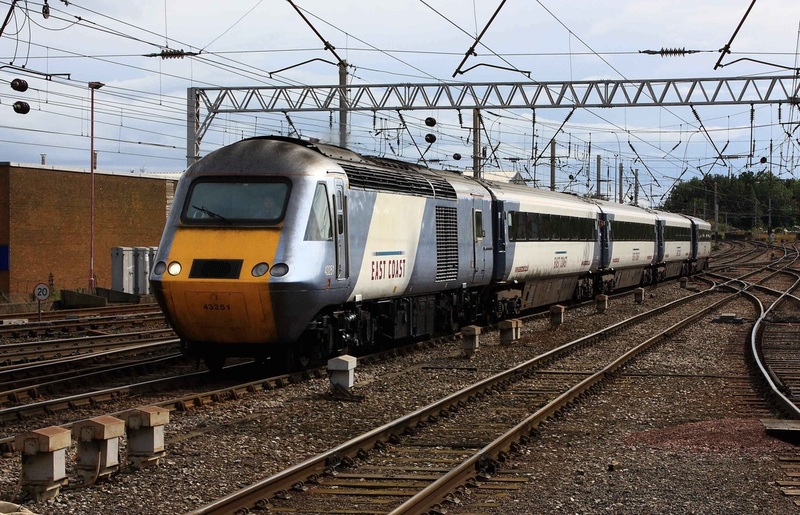 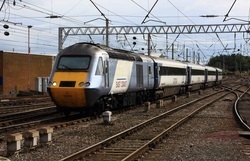 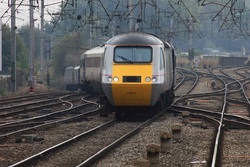 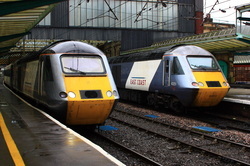 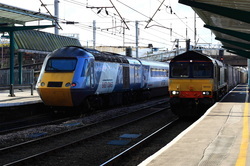 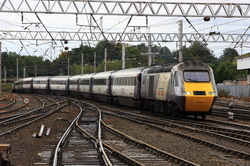 Sandwiching rebranded former National Express coaches, East Coast power cars 43311 and 43314 approach Carlisle with 1S07 Kings Cross to Aberdeen.